Moms- Finding Time To Grieve After The Death Of A Loved One. How mothers can find the time and space to grieve after the loss of a loved one. When a loved one dies, grief can rear its ugly head at unexpected times. When you are a mom, it can be difficult to find the time to properly grieve. It can be difficult to give yourself the space that you need to mourn. After all, your toddler and/or baby is demanding your undivided attention. Your needs as a mom often take a backseat. This can unfortunately also include your time to grieve. It is so important, however, to allow yourself the space to grieve and heal properly. The only way to move through grief is to allow yourself to actually grieve. It takes time. 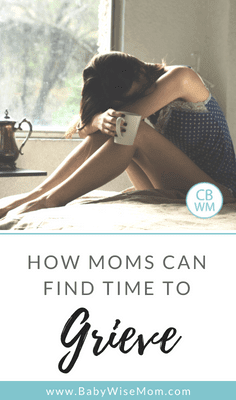 Time isn’t something moms have plentiful forms of. After losing my daughter, however, I had to find time to make the time. Grief also comes in waves- unexpected at times. Things trigger emotions that otherwise wouldn’t have, and it can consume you in the blink of an eye. There’s no right way to grieve. There’s no normal way to grieve. There are, however, some things that can help as you navigate the waters. And, there are ways you can find the time and space that you need for you. No matter how old your child is (baby to teenager), independent time is a must. I am a huge fan of incorporating independent time for many reasons, one of which is that everyone gets some space. It doesn’t matter how much we love someone, we still need time to ourselves, by ourselves. Our children also need time to themselves. Independent time provides that for everyone. In times of grief this is invaluable time for us moms. Sometimes I need perfectly quiet moments. No child playing in the background, no talking in the background, etc. After my daughter died, I found that I needed the quiet peacefulness of outside- either before the world woke up, or after. I needed that perfect quiet. I find that I connect with my daughter and my grief so much in those moments. Set aside some time after you put your children to bed. Get up early. Go sit on the porch. Grab a cup of coffee or tea. Give yourself whatever you need to just FEEL. The thing about grief, is that if you don’t let yourself feel it, it makes you feel it when you aren’t ready. Embrace it and allow it a moment like this to just overcome you. So yes, I know this advice is coming from a blogger… but let me tell you- The thoughts that came out in my writing during my times of peak grief moments was pure therapy. Sometimes the thoughts were surprising to me as well. I didn’t even realize I was feeling certain emotions. So much came out. You don’t have to share what you write with anyone, or you can if that’s helpful. I found such great therapy in the act of writing (tears just streaming down my face as I wrote). It acted as a great internal conversation. I also found it to be incredibly therapeutic to reread my writing. Sometimes you need a good cry, and rereading something I wrote would give me just that. 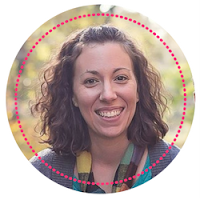 My “writing therapy sessions” are all available to read if you would like a glance into my journey with grief (just click here). Speaking of therapy, there’s real therapy. There are these people out there called therapists and counselors! LOL I know it’s ground breaking. I laugh because it took me SO long to get to this point. I should have done this immediately. Therapists are trained in what they do. Again, the things I said, and the emotions came out were surprising to me. I’d spend each session talking the entire time and crying. It was very healing. Now this isn’t easy to find time to do. That’s probably part of the reason I waited. I either found someone to watch my toddler, or I brought her. Yup, I totally brought her. Because the reality, was that she was grieving too. She played, sometimes she talked, and we navigated the process together. Speaking of bringing your child to therapy… It’s totally ok to cry in front of your child. Children need to learn that it’s ok to cry. Children need to see that we are grieving and figure it out with us. The reality is that they see our sadness in us whether we are “letting them” or not. Children are pretty in tune to their mamas. The amazing part… is that they take care of us. My daughter has seen me cry countless times. She gets me tissues, she talks to me, she pats my back, she holds me, she hugs me, she loves me. And as a result, when she’s sad, she cries. She talks to me. She opens up. She lets me in her mind and her thoughts and all of her emotions- because she knows it’s ok to do. She knows that I do the same with her. Whether it’s the TV or giving your child the iPad to play with, etc. It’s OK! This is a season. It’s ok if your child spends an entire day in front of the TV. It’s one day. Maybe it’s 3. This moment of peak grief doesn’t define your parenting as a whole. The TV being on doesn’t define your parenting. Part of parenting is taking care of yourself. So if you need a whole day to lay in bed and cry, take it. Turn the TV on and turn of the guilt. You will end up being a better parent as a result. Grief is unknown territory for many of us. It’s not something that comes with a how to book, or a timeline. The anniversary of my daughter’s birth and death is in five days as I write this. My grief looks different than it did a year ago, but in some ways it’s at a peak again. It becomes all consuming at times. This is one of those times as we approach her birthday. I have to be able to give myself grace during this week, this moment, this season. My now 3 year old has seen the grief come in waves, and she’s been right by my side. She’s given me space, and she’s given me extra love. She’s learning how to take care of me, and she’s learning how to accept her own emotions. We are all figuring this out together. Give yourself grace. Allow yourself the space to grieve. You don’t ever move on, but you will learn to live with the grief. You will learn to accept it into your new normal. Don’t be afraid to take the time that you need and prioritize yourself when you need to.